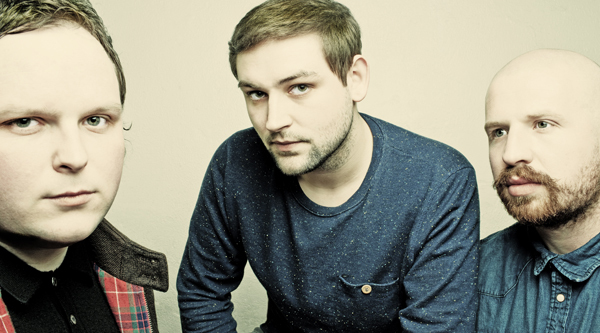 Scottish trio The Twilight Sad have confirmed they will be playing at this year’s T In The Park festival on Sunday 13 July. The news follows the announcement that the band will be reissuing their exhilarating debut album Fourteen Autumns & Fifteen Winters for Record Store Day on Saturday 19 April through FatCat Records. Tickets are now on sale and can be bought here. The deluxe double vinyl edition of Fourteen Autumns & Fifteen Winters contains the remastered debut in full, unseen artwork and never-before-heard tracks from the original recordings that provided the emotional building blocks of what would prove to be a phenomenal debut. The vinyl, limited to 500 copies in the UK, will be available from participating independent record shops on Record Store Day. Stream Untitled #4 from the album on Soundcloud now. *Playing Fourteen Autumns & Fifteen Winters in full – tickets here. Scottish trio The Twilight Sad are reissuing their exhilarating debut album Fourteen Autumns & Fifteen Winters for Record Store Day on Saturday 19 April 2014 through FatCat Records. To celebrate, the band are giving away a free download of their recent Paisley Abbey show with the Royal Scottish National Orchestra. You can access the download here. The special intimate performance was part of The Spree Festival in Paisley, Scotland. Legendary conductor with the Royal Scottish National Orchestra John Logan arranged the orchestration alongside classic The Twilight Sad tracks The Wrong Car, Sick, The Room and Cold Days From The Birdhouse. The 500 capacity venue sold out in less than an hour with the band playing as a three-piece to give the orchestra as much space as possible. The deluxe double vinyl edition of Fourteen Autumns & Fifteen Winters will contain never-before-heard tracks, unseen original artwork and the remastered debut in full. The vinyl, limited to 500 copies in the UK, will be available from participating independent record shops on Record Store Day. For full tour dates and tickets go to The Twilight Sad’s website here.